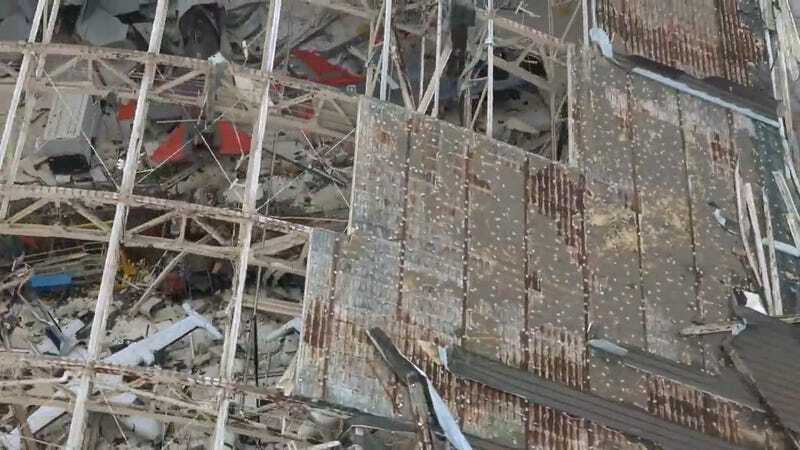 Tyndall AFB got clobbered by hurricane Michael last week, with an unknown number of the base‘s F-22 Raptors, QF-16 targets and T-38 and MU-2 trainers damaged in collapsed hangers. At least 30 Raptors were flown to dispersal fields prior to the hurricane masking landfall, but that leaves about a dozen planes that were unable to fly being left in hangers to wait out the storm. This comes on the heels of the grounding of the F-35 fleet following a recent crash, putting more pressure on the USAF's fleet of F-15s and F-16s.